Here in Kabul, I read a recent BBC op-ed by Ahmed Rashid, urging a “diplomatic offensive” to build or repair relationships with the varied groups representing armed extremism in Afghanistan. Rashid has insisted, for years, that severe mistrust makes it almost impossible for such groups to negotiate an end to Afghanistan’s nightmare of war. Glancing upward at one of the six U.S. manufactured aerostat blimps performing constant surveillance over Kabul, I wonder if the expensively high-tech giant’s-eye view encourages a primitive notion that the best way to solve a problem here is to target a “bad guy” and then kill him. If the bad guys appear to be scurrying dots on the ground below, stomp them out. Was that simple prediction available to the U.S.’ giant’s-eye view? 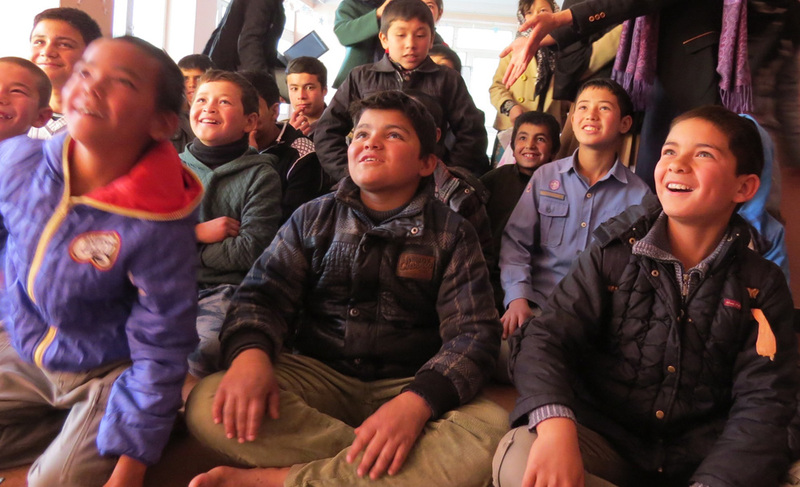 My young friends among the Afghan Peace Volunteers have shown me a vastly different approach toward problem solving. In a sense, they’ve been launching a diplomatic outreach, refining their approach through trial and error over the course of several years, taking careful steps toward building trust between different ethnic groups, and also relying on their own personal stories to help them understand the cares and concerns of others. Throughout their efforts they’ve tried to be guided by Gandhi’s advice about considering the poorest person’s needs before making a decision. 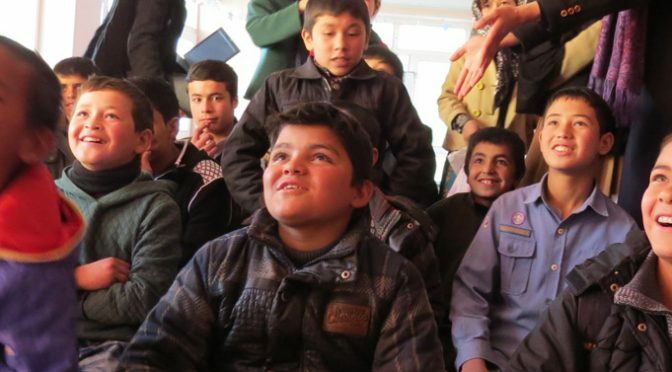 What has brought a non-violent future closer to Afghanistan – giant sized military and surveillance systems or the accomplishments of young volunteers working to develop inter-ethnic projects? Throughout Kabul, refugees crowd into squalid, sprawling camps where people live without adequate protection from harsh weather. According to The U.N.’s Office for the Coordination of Humanitarian Affairs, between Jan. 1 and April 30 this year, “117,976 people fled their homes due to conflict.” And, the U.N. says it has only received 16 percent of funds needed for humanitarian assistance in Afghanistan this year. Nisar, one of the students at the Borderfree Center’s Street Kids School, understands destitution all too well. 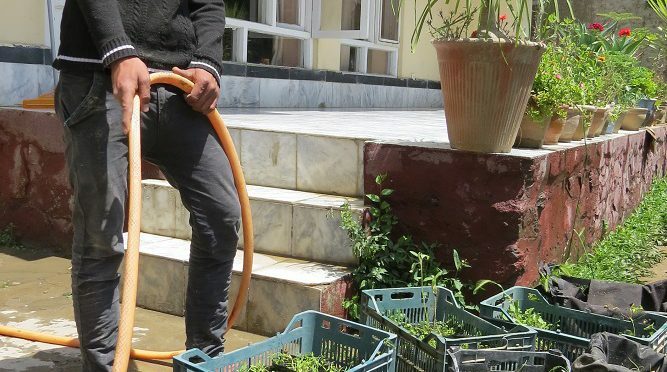 He has been earning an income for his family since he was a small child, working as a shoeshine boy on Kabul streets and also in a butcher shop. Now, at age 17, he will soon graduate from three years of classes with the Street Kids School. In the past year, he has been a steady volunteer, taking on responsibilities with the duvet project and the organic gardening team. Nisar says that when he first came to the Center, three years ago, he felt astonished to see people from different ethnic backgrounds sitting together. 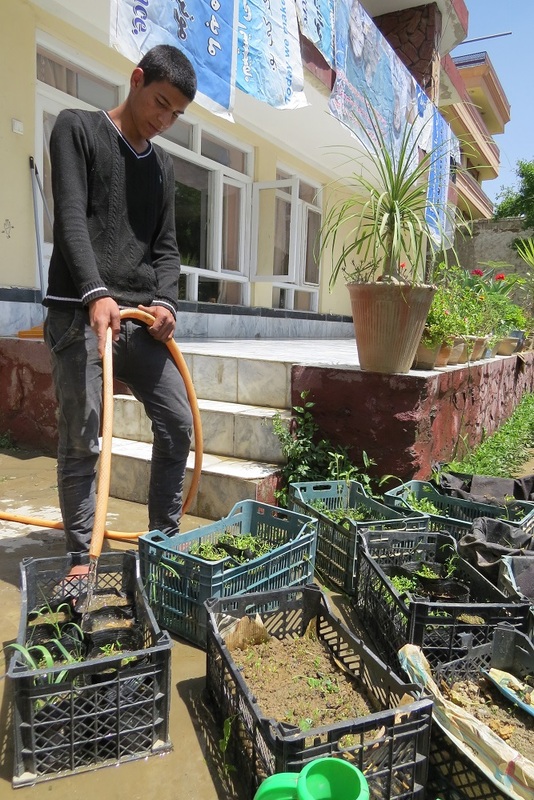 Nisar’s family comes from the Wardak province, and relatives of his are among those who recently fled the Taleban. He clearly understands the terrible risks that armed struggle could bring, even here in “Ka-bubble” as Kabul is sometimes called because of the relative calm that still prevails here. In spite of tensions, Nisar feels sure that when people learn to overcome their fears and start talking with one another, they can set aside hatreds taught to them at young ages. U.S. planners, heads lost in the sky, seemingly pay little heed to developing ways of building trust. Resources are gobbled up by gigantic multinational “defense” companies dedicated to the task of further, trampling warfare, while withholding anything like the quantity of resources needed for the task of repairing the wreckage they themselves have caused. U.S. think tanks cleverly promote cartoonized versions of foreign policy wherein the mighty giant strikes a fist and eliminates the “bad guy” whom we are told has caused our problems. But I believe U.S. people would be better off if we could see the often-suffering communities that show admirable qualities as they try to survive. We could learn from their efforts to build mutual trust and solidarity, and their courage to reject war. We could insist that the massively well-endowed US and NATO powers finally acknowledge that the best hopes for a lasting peace come when communities experience a measure of stability and prosperity. The giant powers could help alleviate the desperate need faced by people enduring hunger, disease and homelessness. U.S. people should earnestly ask how the U.S. could help build trust here in Afghanistan, and, as a first step, begin transferring funds from the coffers of weapon companies to the UN accounts trying to meet humanitarian needs. The “giant” could be seen stooping, humbly, to help plant seeds, hoping for a humane harvest.